Tom Erickson, Associate Director for Business, Operations, and Intellectual Property, has been named Interim Director of the Energy & Environmental Research Center (EERC) by University of North Dakota (UND) President Robert Kelley. Erickson has had a long career at the EERC, beginning as a lab technician. He earned both B.S. and M.S degrees in Chemical Engineering from UND. 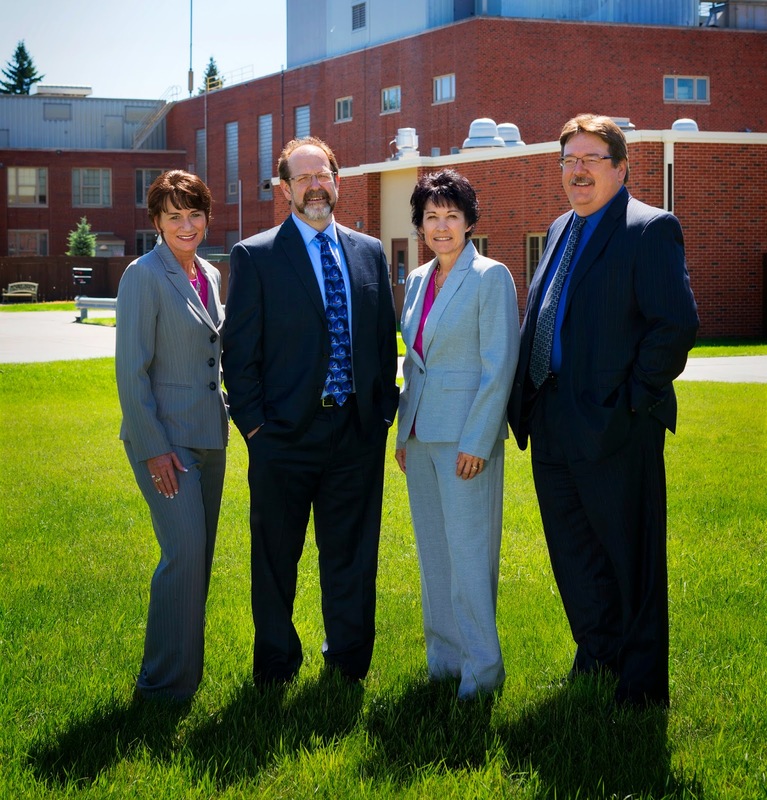 In addition to Erickson, the EERC’s current leadership team consists of John Harju, Associate Director for Research; Deb Haley, Associate Director for Marketing, Outreach, and Administrative Resources; and ErinO’Leary, Interim Associate Director for Business and Operations; along with Deputy Associate Directors for Research Michael Holmes, Ed Steadman, and Chris Zygarlicke and Deputy Associate Director for Marketing, Outreach, and Administrative Resources Anne Fiala. 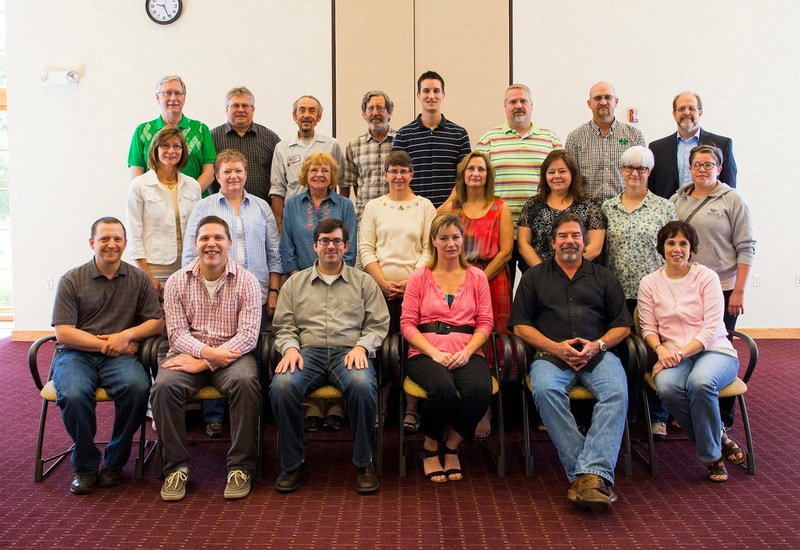 Together, the management team brings more than 200 combined years of service to the EERC. Erickson was hired as a Research Specialist at the UND Energy and Mineral Research Center in 1988. Over the years, he has held many different positions, including Research Engineer, Supervisor for Analytical Research, Research Manager, and Senior Research Manager. From 1999 to 2011, he served the EERC as an Associate Director for Research, where he focused on the development of advanced power and fuel systems from fossil and renewable energy sources. 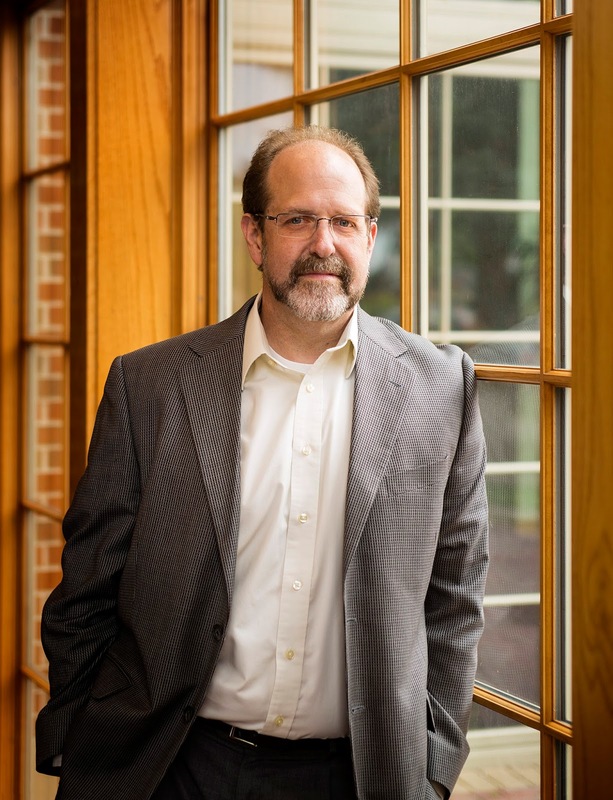 Since 2011, Erickson has served as Associate Director for Business, Operations, and Intellectual Property, where he oversees activities related to safety, facilities, business functions, and protection and commercialization of intellectual property. The duties and responsibilities of this position are focused on providing facilities, engineering and construction support, accounting services, contracting services, business policies and practices, and safe operations to enable and enhance the world-class research of the EERC. Erickson is committed to developing and enhancing strategic collaborative partnerships, protecting relevant intellectual property, and advancing EERC-developed technologies into the commercial marketplace. The EERC has been operating as part of UND since 1983. It operates like a business and pursues an entrepreneurial, market-driven approach to research and development in order to successfully demonstrate and commercialize innovative technologies. The EERC currently employs about 235 people. The Center was founded in 1951 as the Robertson Lignite Research Laboratory, a federal facility under the U.S. Bureau of Mines. It became a federal energy technology center under the U.S. Department of Energy (DOE) in 1977 and was defederalized in 1983, becoming a part of the university. In 1987, all research entities within the UND School of Engineering and Mines were combined into the Energy & Mineral Research Center, changing over to the EERC in 1989. Today, the EERC leverages and enhances government research dollars by developing working partnerships with industry, government, and the research community. Since 1987, the EERC has had over 1280 clients in 52 countries. A suite of unique mercury control technologies developed at the EERC and patented by the EERC Foundation® has been licensed and commercialized by Midwest Energy Emissions Corp (ME2C), which has received firm commitments from major U.S. power producers for multiyear mercury pollution control for U.S. Environmental Protection Agency (EPA) compliance. ME2C’s commercialization of the EERC’s technology is a success story that illustrates what it takes to bring an energy-related technology to market. ME2C is offering the technology to coal-fired power plants and utilities in the United States and Canada and plans to expand into Europe and China in the future. Its first market commitments are for thirteen large generating units. The EERC will provide consulting to the companies where ME2C deploys the technology. Through its EPA-designated Center for Air Toxic Metals® (CATM®) and complementary programs, the EERC spent over 20 years establishing a solid foundation in understanding the behavior, transformation, measurement, and control of mercury in coal-fired energy conversion systems. The EERC is recognized worldwide as an expert in understanding mercury in air and in the field of mercury emission capture. The sorbent enhancement additive (SEA) injection technology was developed by lead researcher John Pavlish, EERC Senior Research Advisor and CATM Director; Mike Holmes, Deputy Associate Director for Research; and Ed Olson, Senior Research Advisor. Former EERC Research Manager Ye Zhuang is also credited on several of the 25 issued and pending patents in the suite. The suite of technologies has proven to be effective, efficient, and flexible. “The SEA technology has been shown to achieve mercury removal levels compliant with EPA’s Mercury and Air Toxics Standards (MATS) over a broad range of plant configurations and coal types cost-effectively and with less operational impact,” said Pavlish. MATS requires that oil- and coal-fired U.S. power plants larger than 25 MW reduce their mercury emissions by approximately 90% by 2015. The relationship with ME2C’s founder began when Rick Mac Pherson was shown the EERC’s mercury emission control technology on an unrelated visit to the EERC in 2006. 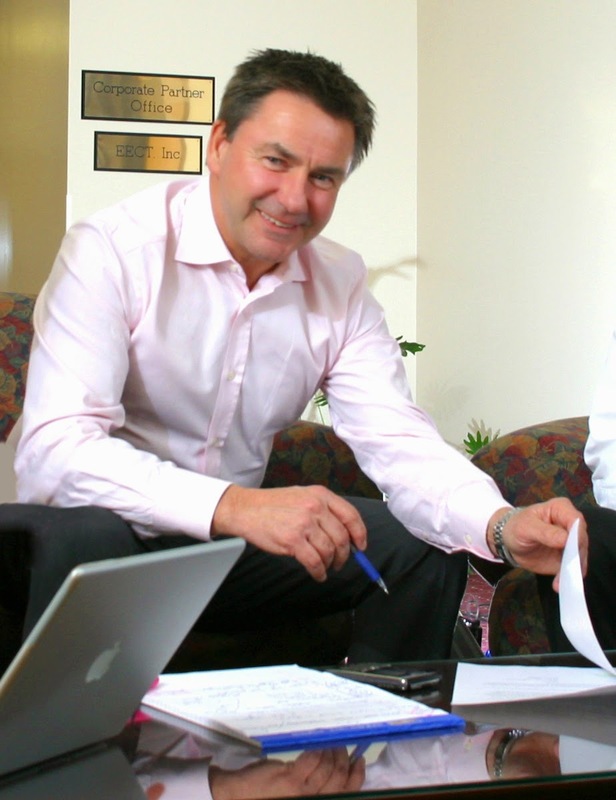 The first commercialization agreement between Mac Pherson and the EERC Foundation was signed in 2009. Many believe the hard part is over once a patent is issued, but commercializing clean energy technology typically takes much longer than innovations in other fields and can cost millions of dollars. The technology first has to be brought from the laboratory or a small-scale demonstration to a commercial-scale demonstration. If the technology works at full scale, then entrepreneurs have to scale up manufacturing and begin mass-scale deployment. Many innovative energy technologies are not able to raise the capital needed for such a large undertaking. The SEA technology was first demonstrated at a facility in the northwest United States in 2009 and has now been successfully demonstrated over 30 times at large operating power plants across the United States and Canada. Mac Pherson noted that the majority of the investment into the company to date has been from “close friends and family” who “believed wholeheartedly in who we are and what we’re doing and what our future prospects are.” He said these 200 or so people, a significant number from North Dakota, were critical to ME2C’s ability to grow and thrive. “Although determination is necessary, it’s not impossible for those with a great work ethic to see energy technology through to commercialization if they source the right people and dedicate themselves completely to it,” said Mac Pherson, founder and director of ME2C. “We really had a terrific combination of three things that basically came together to put us in a situation where even though we were a young company, we were able to compete and grow and be successful,” Mac Pherson said. “First, we had entrepreneurial drive in the founder and start-up, which was, secondly, mixed with industry expertise, know-how, and senior management. Third, the EERC provided huge resources of technology know-how and expertise that, at that stage, we otherwise couldn’t have accessed or couldn’t have afforded to access if we were to continue developing. The EERC is a worldwide leader in mercury measurement and control and has tremendous expertise and equipment to address virtually any mercury-related question. The ability to accurately and reliably measure mercury is fundamental to demonstrating compliance with the regulations issued in the Clean Air Mercury Rule and assessing commercialization potential of various mercury control technologies. In the mid-1990s, the EERC validated the Ontario Hydro (OH) mercury speciation method and coauthored ASTM International (ASTM) D6784-02, the OH method. The EERC is unique because it can sample and analyze mercury in the field while maintaining exceptionally high quality control and quality assurance standards. The EERC has a number of sophisticated mobile labs that have been used for extensive mercury sampling and technology performance verification. Sampling crews travel to field locations, spending up to several months at a time evaluating baseline mercury emission levels and the effectiveness of control technologies. These trailers used as mobile laboratories house all of the equipment necessary to perform a number of U.S. Environmental Protection Agency (EPA) methods, including Methods 5 and 17 for particulate sampling, EPA Method 29 for mercury and trace elements, and EPA Method 30B and ASTM D6784-02 (the OH method) for mercury measurement. This includes sampling boxes, probes, weighing scales, filters, filter holders, and any railings that may be necessary. However, what makes EERC capabilities unique is the ability to do mercury sampling and analysis in the field. In doing so, the EERC maintains an exceptionally high level of quality control and quality assurance. For more information on how the EERC can assist you with your mercury measurement and control needs, contact Mike Holmes, Deputy Associate Director for Research, at (701) 777-5276 or mholmes@undeerc.org. A team from “One Hitachi” consisting of researchers, business executives, and technologists visited the EERC in April to meet with EERC management and learn more about the EERC while sharing their ongoing collaborative work in the analysis of large, complex data sets, aka “big data,” for shale oil and gas development. The team toured EERC facilities and laboratories, including its combustion facilities for testing various fuels and for recovering CO2 and other chemicals from the combustion process, geological test facilities that test rock properties and simulate processes such as proppant injection that are associated with oil and gas recovery, and the CO2lab for better understanding CO2 properties in shale oil environments and enhanced oil recovery from shale. Hitachi is a partner in the EERC-led Bakken Production Optimization Program, a consortium of oil companies and the State of North Dakota focused on improving Bakken system oil recovery while reducing its environmental footprint. The results of the 3-year program will increase well productivity and economic output of North Dakota’s oil and gas resources, decrease environmental impacts of wellsite operations, and reduce demand for infrastructure construction and maintenance. Hitachi America and the EERC have announced that the two companies are partnering to develop technology-driven products, services, and solutions for enhancing the production of oil reserves from the Bakken petroleum system. Covering parts of North Dakota, Montana, Saskatchewan, and Manitoba, the Bakken petroleum system is estimated to hold hundreds of billions of barrels of oil. Over the past several years, the EERC has conducted several research projects that have been geared toward both improving the productivity and efficiency of Bakken development and reducing its environmental footprint. Meanwhile, Hitachi has worked to develop analytical data tools for the conventional oil and gas industry. The two organizations recognized the unique, complementary skill sets that each other had and quickly identified the Bakken oil boom as an opportunity to collaboratively apply their combined expertise in ways that were beneficial to the industry. “As an unconventional resource, there is much about the Bakken that remains unknown. However, we believe that through our partnership with Hitachi, we will be able to shed light on these unknowns to help guide the next round of discovery,” said John Harju, Associate Director for Research at the EERC. “At Hitachi we believe in a customer-driven research model where we collaborate with leading industry players to understand the hard problems they face and apply our research techniques to help transform our customers’ business. This collaboration with the EERC complements our in-house strengths in big data analytics with deep domain-related expertise in shale oil and gas production. Such collaborations will prove to be instrumental for the success of our Information Technology × Operations Technology (IT × OT) Convergence program,” said Umeshwar Dayal, Vice President and Senior Fellow for the Big Data Research Laboratory of Hitachi America. If you would like more information on how the Hitachi-EERC team can work for you, contact the EERC Associate Director for Research John Harju at (701) 777-5157 or jharju@undeerc.org. As I step into the role of Interim Director at the EERC, I am reminded again that fostering relationships is a key principle here. One of my goals is to focus on that tradition by cultivating relationships with current and prospective clients as well as the EERC team. An example of this is the tremendous partnership that exists between the EERC and Midwest Energy Emissions Corp (ME2C). Through the EERC Foundation®, ME2C has commercialized a world-class mercury control solution, borne out of technology developed at the EERC. Working with great partners like the entire ME2C team, whose tireless efforts have led to the development of this technology, has definitely proven our principle correct. Today, ME2C is commercially offering the patented sorbent enhancement additive technology, which can be tailored for optimum efficiency for use at a customer’s coal-fired unit. The technology, built on over 20 years of research and demonstration at the EERC, is both effective and cost-competitive in controlling mercury. In 2009, the EERC Foundation licensed this demonstrated technology to Rick Mac Pherson, founder of ME2C. Mac Pherson and his team’s efforts to commercialize the technology led to numerous commercial demonstrations, its first commercial installation in 2011, and the eventual formation of ME2C, a publicly traded company (OTCCB: MEEC) that has recently announced the signing of letters of intent for additional commercial installations. Partnerships like this provide the type of technology advancement opportunities on which the EERC thrives. Commercializing technology is another cornerstone principle at the EERC, leading to new high-tech jobs, energy security for the United States, and enhanced environmental protection. Our partnership with ME2C is just one example of the tremendous potential that exists in today’s research environment. Countless other opportunities are in the works at the EERC that follow this same principle. I look forward to enhancing our pursuit of strong working partnerships with private industry, unparalleled scientific and engineering ingenuity, and new technologies that have a significant worldwide impact. Jason Braunberger hit a milestone when he passed the National Association of State Boards of Geology® 4-hr Practice of Geology (PG) test, earning the certification of Professional Geologist (PG-3919) from the Wyoming Board of Professional Geologists. Why Wyoming? North Dakota and Montana do not have licensing or registration boards, but all states but California welcome reciprocity. Because of his work in the EERC’s Center for Oil and Gas and the Plains CO2 Reduction Partnership Program, Braunberger spends quite a bit of time in Wyoming in the Powder River Basin area. While the certification was not required for his job at the EERC, it was the next step in Braunberger’s career. 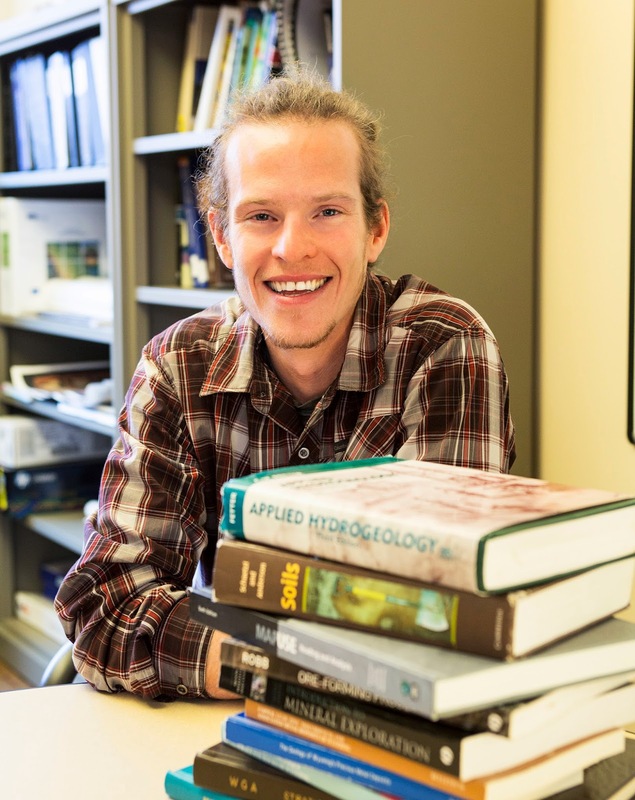 Braunberger spent more than 6 months poring over five textbooks in preparation for the PG exam, which covers applied aspects of field geology. He holds a B.S. degree in Geological Sciences from North Dakota State University and passed the coursework-related 4-hr Fundamentals of Geology (FG) exam in 2012, both required for the PG exam, and he has over 5 years of work experience related to geology (4 years are required). A Research Manager at the EERC, Braunberger leads a dynamic group focused on static geologic and geomechanical modeling and numerical fluid flow simulation with respect to enhanced oil recovery and carbon dioxide storage in deep sedimentary basins. He and his team develop stochastic and deterministic facies models of the subsurface, perform petrophysical analyses of geophysical well log data, and analyze core for geologic characteristics in pursuit of maximizing oil and gas resources in an environmentally safe and economical way while managing carbon dioxide emissions. Right after college, Braunberger worked as an Exploration Geologist at the Ken Snyder Gold Mine in Midas, Nevada, hiking in the mountains looking for samples of gold and inputting data into modeling software to try to predict where gold might be found. Todd Paulson is a Technology Development Operator at the EERC, where he works on project teams to set up, operate, maintain, and repair pilot plant equipment in support of related projects; modifies standard equipment and fabricates new equipment for nonstandard applications; and assists project managers and principal investigators in obtaining project data and results. Prior to the EERC, Paulson worked for RBB Electric in Grand Forks. He holds an Associate of Science degree in Electrical Technology from the North Dakota State College of Science in Wahpeton and is a Licensed Journeyman Electrician. 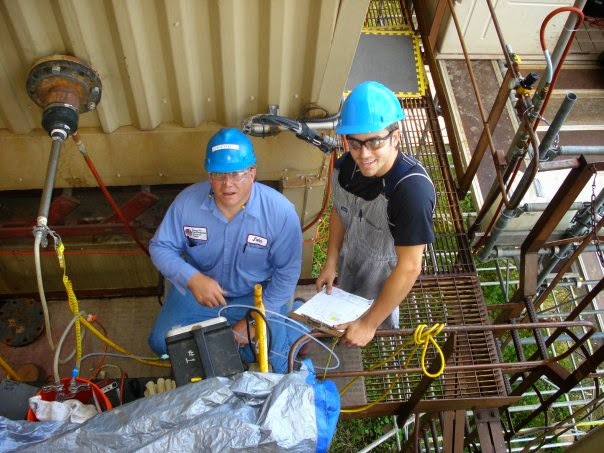 Paulson has always been interested in plants and equipment and looks forward to learning how the EERC operates. He has worked on plants being built and has helped with start-up in the past. He previously worked on the wiring of a project in the Fuels of the Future building and enjoyed that opportunity and what he learned there. A native of Grand Forks, Paulson’s hobbies are racquetball, cross country skiing, boating, and kayaking. Chris Riendeaujoins the EERC team as a Technology Development Operator working with Butch Riske’s group, where he works on project teams to set up, operate, maintain, and repair pilot plant equipment in support of related projects; modifies standard equipment and fabricates new equipment for nonstandard applications; and assists project managers and principal investigators in obtaining project data and results. Originally from Red Lake Falls, Riendeau lives in East Grand Forks and attended East Grand Forks Technical College for autobody mechanics. Riendeau’s most recent position was as an equipment operator for a North Dakota agricultural producer, but he previously worked at the EERC as a Field Equipment Operator/Assistant. A father of two, Riendeau and his 11-year-old son enjoy participating in BMX bike racing. His 20-year-old daughter recently made him a grandfather to a baby girl. 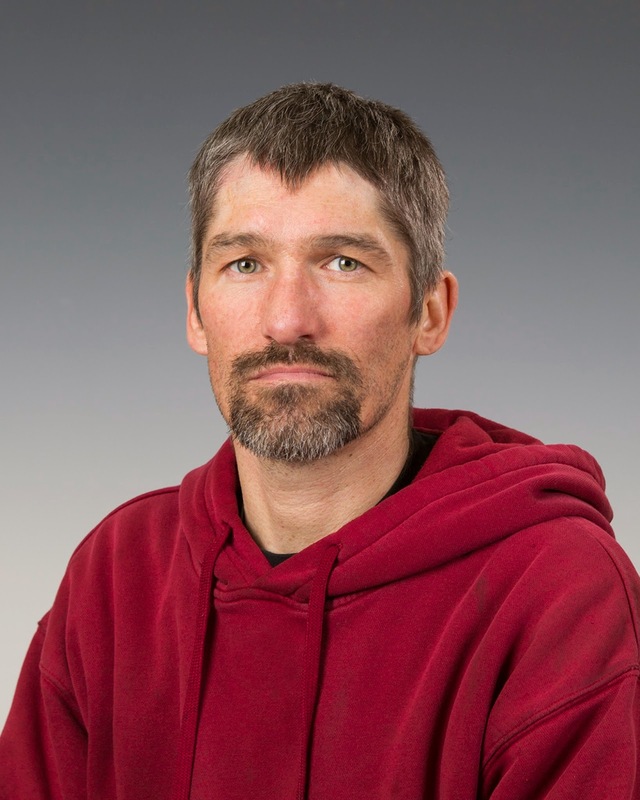 Riendeau’s hobbies include four-wheeling, kneeboarding, snowboarding, and spending time at his lake cabin. Another of his interests is studying wildlife. Don Schaffer is the new Building Services Supervisor at the EERC, where he oversees the training, scheduling, and administrative aspects of the EERC’s Building Services team and their work, which includes cleaning and maintaining the EERC building complex. Schaffer also operates his own business, Schaffer Cleaning, with three employees cleaning community office buildings. 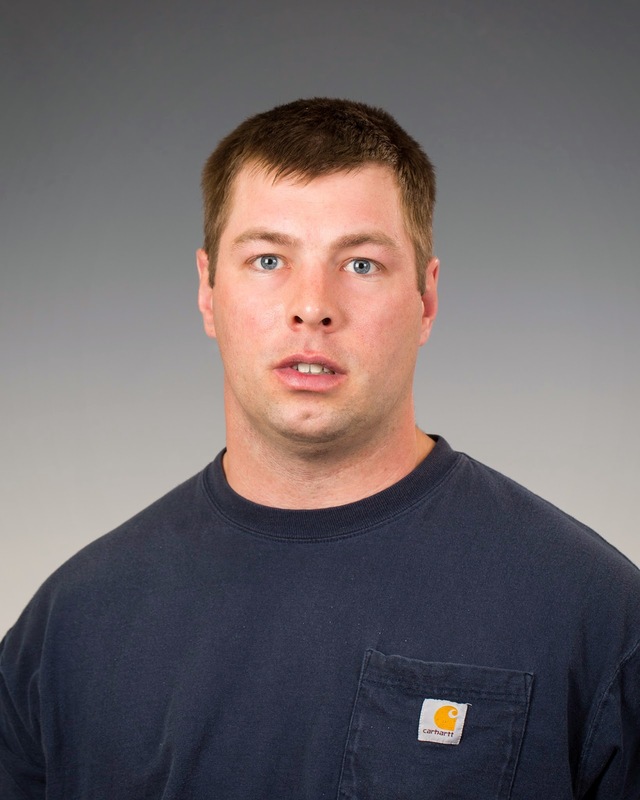 Before coming to the EERC, Schaffer was a Building Services Technician (BST) and then a Lead for the University of North Dakota’s Wilkerson complex, supervising a staff of 14. Previously, Schaffer worked for Cirrus Design. Schaffer holds a Carpentry diploma from Northland Community and Technical College and an Associate of Applied Science degree in Early Childhood from Mayville State University. “I like the challenge of getting people to do their very best work,” said Schaffer, who noted that the EERC’s facilities are very impressive and the BSTs really know what they are doing. Schaffer and his wife have 15 children ranging in age from 3 to 26 years. They've opened their arms to a number of foster kids through the years and have adopted several children. Eight kids are still at home, and family time includes bike riding, soccer, playing catch, and trips to Turtle River State Park. The Schaffers have two grandchildren as well. Mark Kobe, Building Services Supervisor at the EERC since 2007, retired after 31 years of employment at the University of North Dakota (UND). 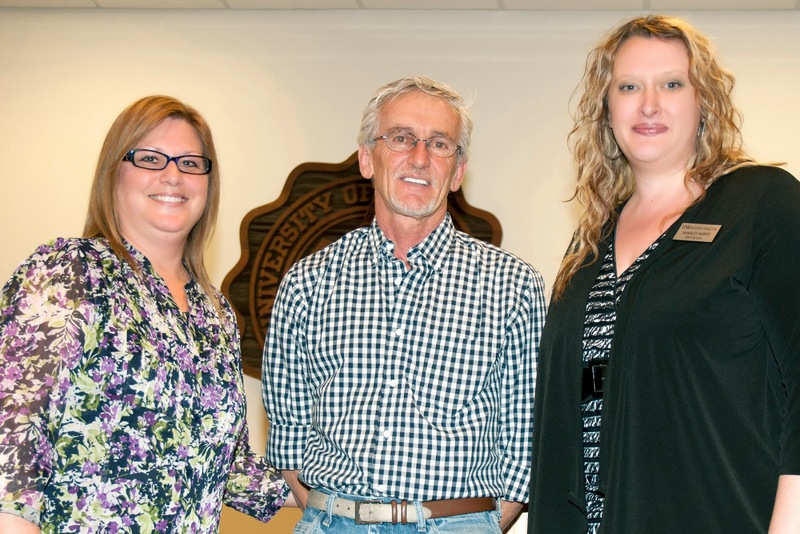 He was honored April 30 at a retirement reception at the EERC. Kobe first came to work at UND in 1982 as a Cook with Dining Services, after serving 10 years in the U.S. Navy as a cook. Mark joined UND Building Services in 1995, eventually becoming a Lead Building Services Supervisor. He worked in numerous UND facilities through the years, and many former and present coworkers as well as family and friends came to the reception to wish him a happy retirement. In 2009, Kobe won the UND Vice President for Finance and Operations Employee of the Year Award, which recognizes employees who represent the division and the University in an exemplary manner through positive attitude, courteous and responsive demeanor, and outstanding performance. For 25 years, Kobe pursued a UND degree while taking a class a semester and working full time. In May 2007, he graduated from UND with a bachelor’s degree in Management. Kobe said that he hopes he can adjust to a “normal” sleep schedule. What he looks forward to most in retirement is not having to work in the middle of the night. He’ll also be putting in some time driving his ’76 Ford Cobra II and his ’78 King Cobra. Eugene (Shorty) Balek, Technology Development Operator, retired from the EERC on May 30 after nearly 25 years of employment. Coworkers, past as well as present, wished him well in his retirement. “Shorty’s knowledge, work ethic, and talents have been very much appreciated and will certainly be missed. We wish him all the best in the future and thank him for all the exceptional work he has done at the EERC throughout his career,” said Butch Riske, Technology Development Operations Supervisor. The EERC honored its University of North Dakota (UND) Years of Service recipients for their dedication and commitment with a reception in the Discovery Hall Lobby. The honorees are listed here with their years of service to UND. 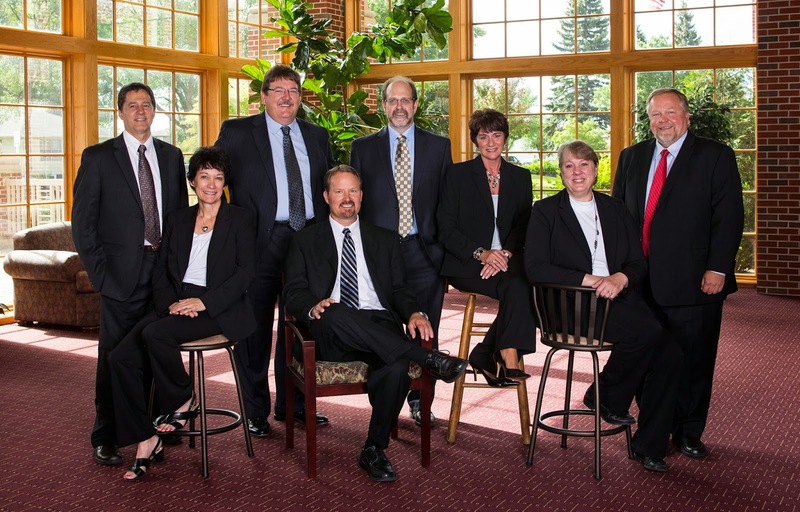 Front Row, left to right: Kyle Glazewski, 5 years; Nicholas Kalenze, 5 years; Ryan Klapperich, 5 years; LaRae Foerster, 15 years; Jib Wilson, 5 years; Kari Schmidt, 5 years; Middle Row, left to right: Carolyn Nyberg, 25 years; Janelle Hoffarth, 5 years; Jan Lucht, 40 years; Ann Henderson, 25 years; Laura Raymond, 10 years; Patti Reimer, 20 years; Melanie Jensen, 30 years; Megan Grove, 5 years; Back Row, left to right: Dave Brekke, 25 years; John Pavlish, 20 years; Hal Rugroden, 20 years; Steve Hawthorne, 30 years; Josh Mason, 10 years; Tobe Larson, 20 years; Bradley Stevens, 15 years; and Tom Erickson, 25 years. Not shown are Timothy Abel, 5 years; Tyler Curran, 5 years; Thomas Powers, 5 years; David Terhark, 5 years; Clara Chambers, 20 years; Kurt Eylands, 25 years; Ramesh Sharma, 25 years; Scott Tolbert, 25 years; and Mike Collings, 30 years. Each spring, like clockwork, the phone rings with groups wanting to schedule tours at the EERC. 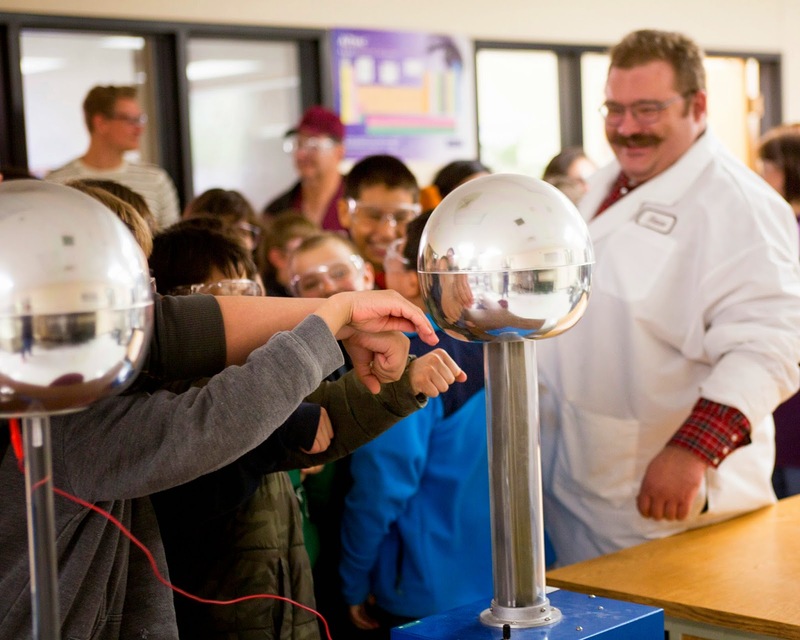 To enhance their curriculum, area schools turn to the EERC to provide students with an in-depth look into the areas of energy and environmental science and engineering as well as guidance in pursuing a career in science fields. An average of three groups a week tour the facilities at the EERC, numbering 2400 visitors a year, including clients, international visitors, and students (elementary through college). EERC Research Specialist Curt Foerster attended the UND Staff Recognition Luncheon to support his wife, LaRae, EERC Communications and Outreach Data Coordinator, as she was honored for 15 years of service to the University. Curt was surprised, though, when he was called to the stage by former UND Staff Senate President Diane Hillebrand and given the UND Annual U-Shine Award for using his first aid skills to help an elderly couple through an emergency situation while off-duty and off-site. Curt had previously won a monthly U-Shine Award for his good deed. Lila Christensen, Research Information Associate/Records Management Associate, is putting her master’s degree in reading education to good use. Christensen was selected to be a judge for the Sarton Memoir Award for the second consecutive year. The award is sponsored by the Story Circle Network (SCN), an international nonprofit association of women memoirists, and named in honor of May Sarton, an American poet, novelist, and author of twelve memoirs and journals. The award is presented annually to the author of the best women’s memoir published in the United States and Canada. Christensen is on the SCN panel of professional librarians across the country that selects the winner. The 2014 winner, Tanya Ward Goodman, was selected for Leaving Tinkertown, the story of her father’s early-onset dementia. Before coming to work for the EERC’s Library and Information Services group, Christensen worked at the University of North Dakota’s Chester Fritz Library and was the librarian at the Red Lake Falls (Minnesota) Public Library.